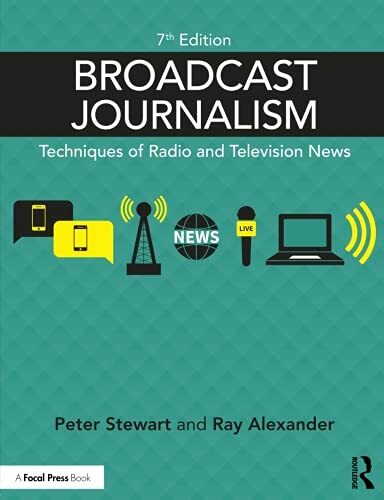 This seventh edition of Broadcast Journalism continues its long tradition of covering the basics of broadcasting from gathering news sources, interviewing, putting together a programme, news writing, reporting, editing, working in the studio, conducting live reports and more. The authors have brought the material further up to date with the integration of social media, uses of mobile technology, the emergence of user-generated content and updated examples, illustrations and case studies throughout. End-of-chapter exercises are also included. Updated with new examples, quotes and pictures. Restructured with end-of-chapter summaries, exercises for students, notes for tutors, links for further reading and references to invaluable websites and smartphone apps. Extended chapters on ethics, responsibilities, interviewing, mobile newsgathering and filming. New additional information on coping with reporting traumatic stories, and how news organisations use Twitter and Periscope.